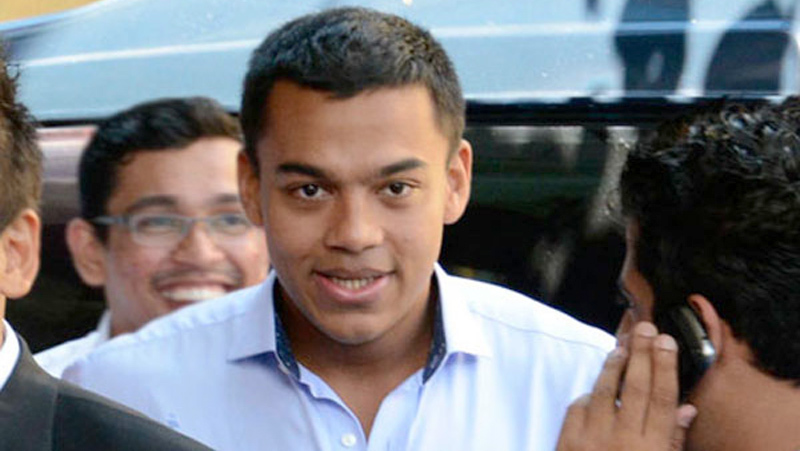 Yoshitha Rajapaksa’s grand aunt was sent notice yesterday (22) by Colombo Additional Magistrate Buddhika Sri Ragala to appear before courts on September 22 regarding an alleged case of money laundering where a land in Ratmalana had been purchased as means of legitimizing money earned through dubious means. The Attorney General had asked that the FCID obtain a statement from her and thus they submitted a motion asking that the courts issue an order for her to come to the FCID for a statement to be recorded. The notice thus was issued to Daisy Forest (86), a resident of Carlton, Mawela Road, Tangalle. The FCID submitting a report to courts revealed that they had unearthed important information regarding a joint account maintained by the suspect and another individual and that they needed to her to come in for further questioning. The magistrate commenting on the request observed that the FCID’s sudden request seemed like the investigators had just woken up from a deep sleep and that he himself, had at the start of the investigations pointed out that a statement would need to be taken from the suspect. The FCID yesterday made the request to question the suspect regarding the questionable land at No 4, Kekatiya Place, Ratmalana bearing Deed no 257. The FCID further explained that the land came into question during their investigations into the activities of Carlton Sports Network. The suspect was sent notice to appear in courts last on 26 August 2016 and at the time she was released on a personal bail of Rs.500,000.